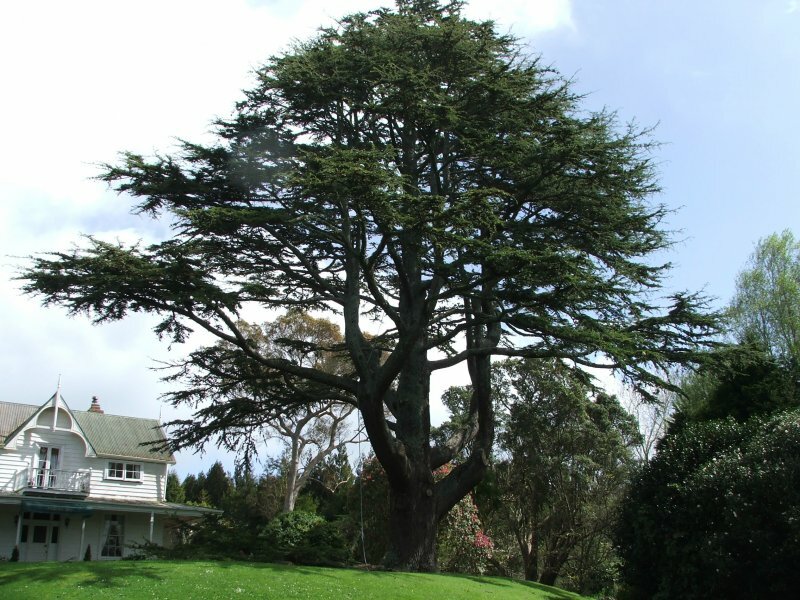 This is truly a magnificent specimen of this species and may well be one of the largest Lebanese cedars in New Zealand. It is the showpiece of a beautifully planned and planted historic homestead and garden. The homestead currently operates as the boutique Paheke Bed and Breakfast. Thwaites, K. 2010. 'It is not known when the tree was planted but it must have been about 1863 or earlier. The property was originally bought from the Maoris in the late 1830' by George Clarke the missionary. It changed hands again before being bought by the Rev. Richard Taylor in Dec 1840. Apart from the fact that Taylor had a man, Steele, managing the place and that Kawiti burned the house down in 1845, little is known about it until July 1863 when it was bought by George Harry Clarke, also known as Paheke Clarke from the name of the property. Clarke built the present house in 1864 and, who knows, he may have planted the tree. The owner in 1961 stated that the Dept. of Agriculture propaged some plants from seed from the tree some years before and these were sent to Lebanon. There is no confirmation of this or of any results of the planting.' The 1968 measurements are recorded in the observations below. This tree is in very healthy condition. Mar. 2010. An outstanding open grown specimen. 17 Feb 2011 Thwaites, K.J.